Creating WordPress Virtual Appliance can be easy if you just want basic WordPress Virtual Appliance to run test version or backup copy on any Computer. Definitely, the computer you will want to run this WordPress must support Virtualization. 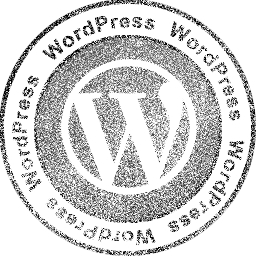 Everything has been said before for Creating WordPress Virtual Appliance through few articles. If you are new, you can read the guide on how to run Virtualization with Virtualbox in our Video Guide , How to install WordPress on Ubuntu localhost and the most important article for this guide for creating WordPress Virtualization is the specific article on WordPress Virtual Appliance. So basically you will create an guest instance and install WordPress like installing on localhost via command line. That is what has been shown in this video. One last step has not been shown is creating the database, that you can do by following the easy steps written and linked above or you can install PHPMyAdmin to easily manage the MySQL database. We have omitted that step of Database creation as you might use a cloud database like from Rackspace Cloud directly instead of localhost database or you might want to test PostgreSQL or MySQLi as alternative databases as an advanced user. So basically creating WordPress Virtual Appliance its nothing but installing WordPress on guest Ubuntu instance. Definitely, this way is very basic, but it will work fine for the most common users who do not want to use any other complex software or add some extra features. So to access WordPress, you basically have to click the Firefox icon and point towards localhost. This Article Has Been Shared 4265 Times! Virtual Network Computing or VNC is a setup where the GUI of a remote computer or server can be controlled from a local computer. The server can be Cloud VPS. Cite this article as: Abhishek Ghosh, "Creating WordPress Virtual Appliance Guide Video," in The Customize Windows, January 22, 2013, April 21, 2019, https://thecustomizewindows.com/2013/01/creating-wordpress-virtual-appliance-guide-video/.